When considering a Loft Conversion there are many questions that you may want to know the answer to. 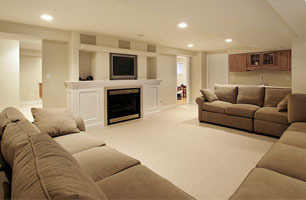 Loft Conversion Advice is something that is not readily available. Searching the web and other sources for more Loft Conversion information and advice can be very time consuming and you may end up with a lot of different opinions on some of the questions that you need advice on. Can my Attic be converted into a Loft Conversion? Most homes can have a Loft Conversion. 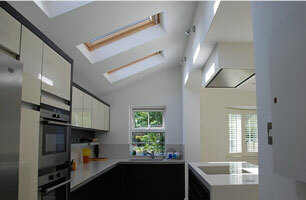 Depending on the style and design of your house you can choose from a range of Loft Conversions. The Structural qualities of most homes in London do allow for a Loft Conversion. Have I got enough head height in the attic? Head height measurements shout be taken from the top of the floor joists in the attic to the bottom of the ridge of the roof. The ridge is the timber that is found at the highest point of the roof. If this measurement is a minimum of 2.2 metres or more then you do have enough room for a Loft Conversion to be built. What f the head height within the attic is less than the minimum needed? Don’t worry as there is a number of techniques that can be used to increase the height. The most costly is to lower the ceilings below the attic. At Builders GB we have other ways that can increases the head height so lowering the ceilings is the very last option. How do I plan a Loft Conversion? 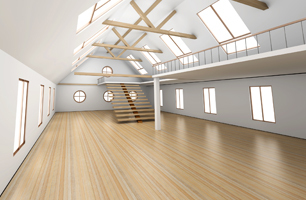 Planning a Loft Conversion is a straight forward process. A good Architect will be able to measure and check that there is room for the staircase and work out a good plan for a Loft Conversion. Drawings for Loft Conversions are needed as your local Building Control department need these to issue a Completion Certificate after the new Loft Conversion is built. The Planning Department need copies only if you require Planning Permission. Will I need a new boiler? A new boiler may be needed if you are already using your existing boiler to its limits. Each boiler has a maximum amount for radiators and hot water outlets. This can be checked by calling a plumbing/boiler supplier and giving them the boiler make and model. They will work out how much more additions your boiler can handle. Which Loft Conversion Design will suit my house? This depends on your home. Looking around your neighbouring homes that already have Loft Conversions built will point you in the right direction. If the style of Loft Conversion you want is not built already locally to your home then you can call us and we will help you to design any type of Loft Conversion that is suitable for your house. Building a Loft Conversion takes from 4 weeks onwards. This depends on factors like access to your property and the style of Loft Conversion you want. Most terraced house Loft Conversions are built very quickly. Planning Permission is only required if you live within a Conservation Area. Recent changes to the Planning Laws have made it much easier to have a Loft Conversion added to homes. Other questions. There may also be other questions in your mind about Loft Conversions that you need clear advice on. If you need to know something else then give us a call and we will answer your question and give you advice on anything to do with Loft Conversions. Having a Loft Conversion built is not as daunting as you may think. The process of building a Loft Conversion is broken down into various stages. At Builders GB we are professionals and converting every type of attic into a stunning and beautiful Loft Conversion. We answer every question that you need to know more about and we make sure that you are kept well informed so you know exactly what is happening. We hope that this Loft Conversion information helps you. Please feel free to call us at Builders GB and we will help you to build the right Loft Conversion for you.